I’m not going to lie. I love dessert. I especially love cheesecake. 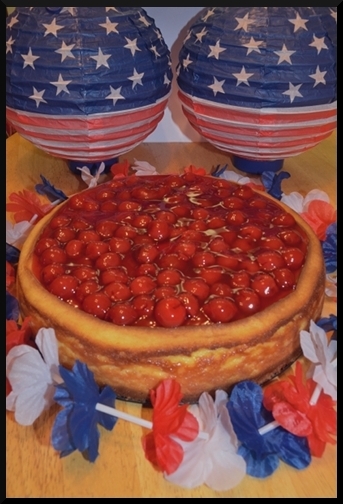 I found a highly rated cheese cake recipe on Allrecipes and decided that 4th of July needed cheesecake! 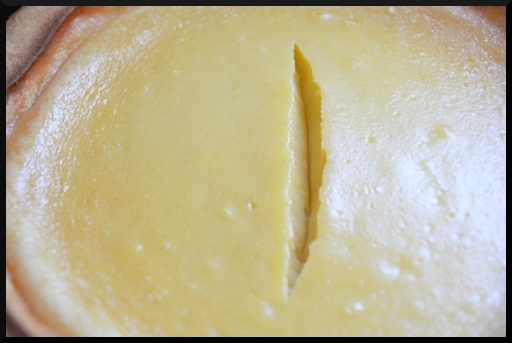 My cheesecake split in the middle a bit (as can be seen in picture under the cut) so next time I think I need to add a pan of water to the oven to help and perhaps try beat the mixture a little less. 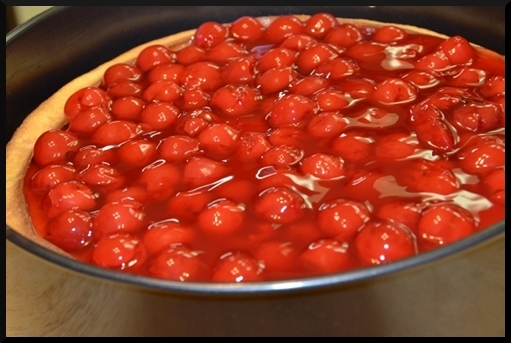 Cherries on top hid the split and in no way altered the total deliciousness of the cheesecake. 1. Preheat oven to 350 degrees F (175 degrees C). 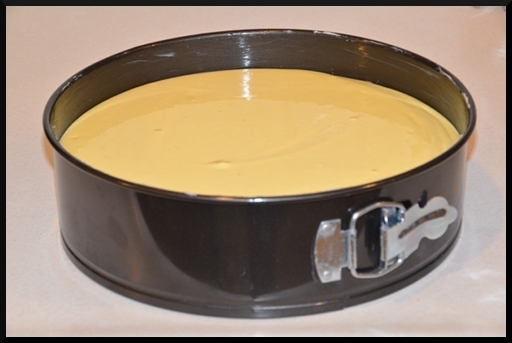 Grease a 9 inch springform pan. 2. In a medium bowl, mix graham cracker crumbs with melted butter. Press onto bottom of springform pan. 3. In a large bowl, mix cream cheese with sugar until smooth. 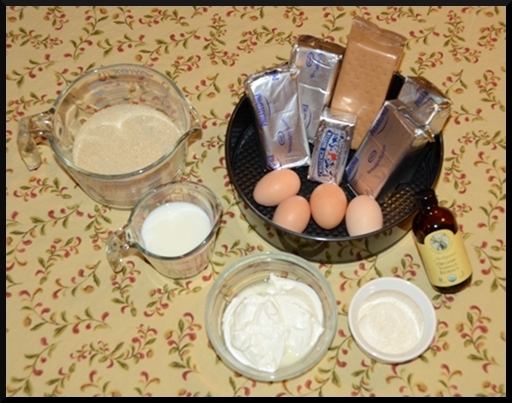 Blend in milk, and then mix in the eggs one at a time, mixing just enough to incorporate. Mix in sour cream, vanilla and flour until smooth. Pour filling into prepared crust. 4. Bake in preheated oven for 1 hour. 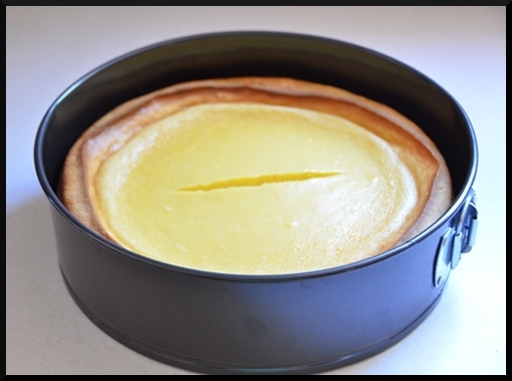 Turn the oven off, and let cake cool in oven with the door closed for 5 to 6 hours; this prevents cracking. Chill in refrigerator until serving. Ingredients all ready to go! 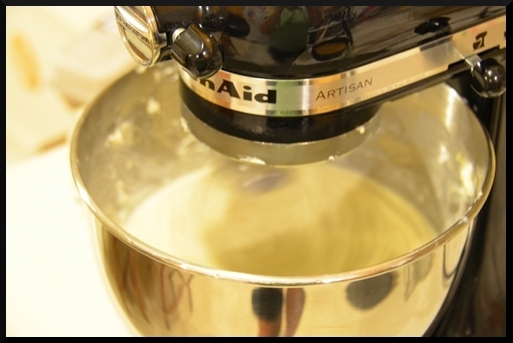 I love my KitchenAid - maybe even more than Cheescake ... maybe. When I got up in the morning and found the crack I was a sad panda. Cherries hid the fault line and made it look festive and Leanna's use of the patriotic stuff I got got my girls helped put the finishing touches on it!